Scanning the daily headlines for a minute there on New Year's Day, it looked like the biggest cannabis issues facing California in 2018 would center on some of the unsettled areas of policy that attended the new law that legalized the sale and purchase of recreational pot in the country's largest and most diverse state. Full legalization, which occurred after a rousing and affirming vote by Californians via Proposition 64 in 2016, was a moment decades in the making. Possessing up to an ounce of cannabis has been legal in the state since last January. As of New Year's Day 2018, the new day had indeed fully dawned. The next-day headlines spoke of long lines at places like Peace in Medicine in Sebastopol; they spoke of a cannabis-consuming populace coming out of the shadows, surprising for the number of elderly imbibers of the health-enhancing plant; and they hinted at a growing pro-pot bias even among non-users beginning to feel that a bush that springs from God's green earth ought to be liberated from the grips of a self-defeating federal drug law that bans it outright. The moment of full legalization in California evoked the staying power, and the suasion power, of the classic cannabis-freedom tome, The Emperor Wears No Clothes. The book came out during the "Just Say No" days of 1985 and underscored the cultural history of hemp and cannabis and their suppression in the United States. It's a book that's often cited as the jump-off point for a decades-long push for cannabis access as a civil right. The Emperor Wears No Clothes was and remains the major printed-matter driver for cannabis-legalization efforts in this country (sorry, it wasn't those Cheech and Chong movies). So on New Year's Day, who could not take a moment to marvel at the somewhat ironic fact that, just as a president was at his most wretchedly naked and exposed—thanks to a blistering new book, Fire and Fury, from journalist Michael Wolff—the sixth largest economy in the world had just thrown cannabis into its commerce mix with very little actual fuss. The naked-truth moment signaling cannabis comeuppance and general acceptance was not to last, as we all now know. On Jan. 4, in a move that was shocking, while not surprising at all (a wearying hallmark of the current administration), Attorney General Jefferson Sessions stepped in and rescinded the Cole Memo. The memorandum, undertaken under President Barack Obama and former Deputy U.S. Attorney General James Cole, eased the way for states like California to enact legal weed regimes without fear of a federal crackdown on peaceful pot people and their plants and extracts. It sought to address a looming schizophrenia between states' rights under the 10th Amendment of the Constitution, and a Federal Controlled Substances Act that equates cannabis with heroin and declares it has no medical value whatsoever. It also sought to highlight that the feds would still take an abiding interest in drug cartels and international drug trafficking, as it directed U.S. Attorneys to focus its prosecutorial discretion in that area and not work to stymie new state laws that legalized or decriminalized pot. The Sessions pushback on legal pot put the overall health and wellness of California's landmark Proposition 64 into question, and with it, the health and wellness of the state's millions of cannabis consumers, recreational and medical alike. As the month unfolds, nothing much has happened yet to amplify the Sessions announcement into on-the-ground action, but the tone and tenor of the news reports about cannabis at once shifted to consider the Sessions move and its potential implications. 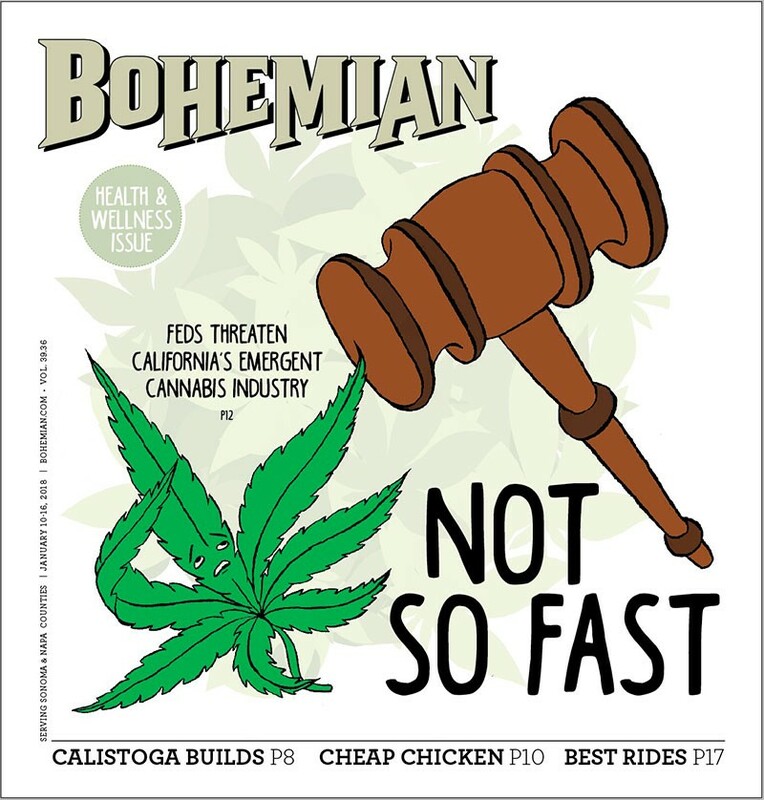 All eyes are now on the four U.S. Attorney's offices in California, says Ellen Komp, deputy director of Cal NORML (National Organization for the Reform of Marijuana Laws), who adds that the Cole Memo was a highly useful guide to state policymakers as they set out to create the new regulations that animate the state's legalization regime. The upshot is that future states considering legalization won't have a Cole Memo to look to for sanctioned guidance from the DOJ. Now, says Komp, attention shifts to the U.S attorneys who occupy or will occupy Department of Justice prosecutors' chairs in the state. One key post is in flux. Just as Sessions was announcing the rescinding of the Cole Memo, the Obama-appointed U.S. Attorney for Northern California, Brian Stretch, announced he was stepping down to join the national law firm of Sidley Austin. Pro-pot activists and state leaders were quick to lash out at Sessions, including California Attorney General Xavier Becerra, who pledged to fight the anti-pot push from the Trump White House. In a statement, Lori Ajax, chief of California's Bureau of Cannabis Control, said her office was conferring with Becerra and other states as a new bureaucracy now tangles with a new wrinkle from the feds. "We expect the federal government to respect the rights of states and the votes of millions of people across America, and if they won't, Congress should act," Ajax says. "Regardless, we'll continue to move forward with the state's regulatory processes covering both medicinal and adult-use cannabis consistent with the will of California's voters, while defending our state's laws to the fullest extent." Republicans in legalized states, such as Sen. Cory Gardner of Colorado, also vowed to fight the Sessions move which would undo, in that state, a legalization regime that's brought in billions in new revenues—while not delivering, as has been widely reported, on opponents' insistence that legal weed would lead to a spike in non-adult use. As the news of Sessions' slap-down of the Cole Memorandum seeped out, progressive military veterans chimed in across social media to express their dismay over the lack of empathy for struggling vets, many of whom struggle with post-traumatic stress disorder and suicidal depression after their service. In recent years, cannabis has gained therapeutic acceptance among veterans and their caregivers for its various health benefits. The U.S. Department of Veterans Affairs has itself been slow to follow, but did announce a new policy in December that allows VA doctors to at least talk about cannabis therapy, even if they can't sanction it. "It's up to the veteran to bring it up," says Aaron Augustis of the new policy at the VA. Augustis founded the North Bay–based Veterans Cannabis Group in 2016 and has been pressuring the VA to embrace cannabis therapies ever since. At the VCG, the emphasis is on "getting healthy, not high," and the nonprofit has been a leading advocate for cannabis therapies for veterans. On the group's website, Augustis, its Marin-based founder and a U.S. Army combat veteran stresses that "We do not advocate cannabis as a cure-all, but as a medicinal tool that should be incorporated with other healthy tools and lifestyle choices."